Losing a loved one is one of the most difficult things that anyone can go through. And when your loss is caused by the reckless, negligent actions of someone else, it's even more frustrating. Not only will you be left with an emotional void, but things like your finances can be negatively impacted as well. Our lawyers understand your pain, and we fight to get you the compensation that you deserve so you can stop worrying about money and focus on grieving and moving on. If the death of your loved one was caused through the negligent or reckless actions of someone else, you may have the right to file a personal injury lawsuit and get compensation. This can help you stabilize your financial future, find some measure of peace, and pick up the pieces of your life in the face of loss. We fight to make sure those responsible for your loved one's death pay for their actions. Just What Is A Wrongful Death Lawsuit? As its name suggests, a wrongful death lawsuit is a legal action taken by those left behind after the death of a loved one. Providing those who are financially dependent upon the deceased with assistance with the loss of income the death creates. Helping provide those who have lost a loved one with the ability to grieve, heal, and pick up the pieces after losing someone close to them. A wrongful death lawsuit will compensate family members for the loss of companionship and guidance the deceased could have provided. A lawsuit can also help provide a sense of closure and justice for those who are left behind, making those responsible for the death pay for their actions. Our lawyers understand that nothing will ever bring back your loved one. But you shouldn't be left struggling to recover after their death, and we fight to make sure that you don't. We get you what you are owed and help you move on from this tragedy. What Is Negligence Or Recklessness? In order to file a wrongful death lawsuit, you have to be able to show that the person who died was killed due to the reckless or negligent actions of someone else. Proving that these types of misconduct occurred is central to getting the compensation you are owed. Essentially, you have to be able to prove that an accident was caused through what any reasonable person would consider to be a reckless or negligent action. If those actions led to the death of your loved one, you'll have the right to seek compensation. Our lawyers will fight to make sure that you get what you deserve and that those responsible pay. Courts consider a wide range of things when they are determining the damages that you receive, and those same factors are what will be used by our lawyers to structure a settlement amount that is fair for you. It's important that you receive the settlement you deserve and that you don’t' allow yourself to be pushed around by the other side. The overall goal of any settlement is to help you get back to where you would have been had the accident never occurred, in financial terms. We know that your loved one is irreplaceable, but they wouldn't want you to struggle financially due to their death. We fight to make sure that it doesn't happen and that you get what you deserve so you can stop worrying about your finances and heal emotionally from these wounds. Under Florida law, those who are directly related to the deceased or who are related and financially dependent on the deceased in any way at all can seek financial compensation through a wrongful death lawsuit. It's also important to understand that you only have 2 years in which to file a wrongful death claim against those responsible for the accident. That is the statute of limitations applied to Florida wrongful death cases, and beyond that time period you will be unable to seek restitution. However, the sooner that you file a claim, the more likely it is that you can get compensation. Waiting too long makes it harder for your attorney to link the expenses of your case to the death and more difficult to prove your case. The sooner you contact us, the sooner we can start fighting to get you what you are owed. Proving fault in a wrongful death lawsuit isn't always easy. The other side will obviously be doing what they can to try to avoid paying out anything, and as such you'll have to have a good attorney on your side to stand up to them. 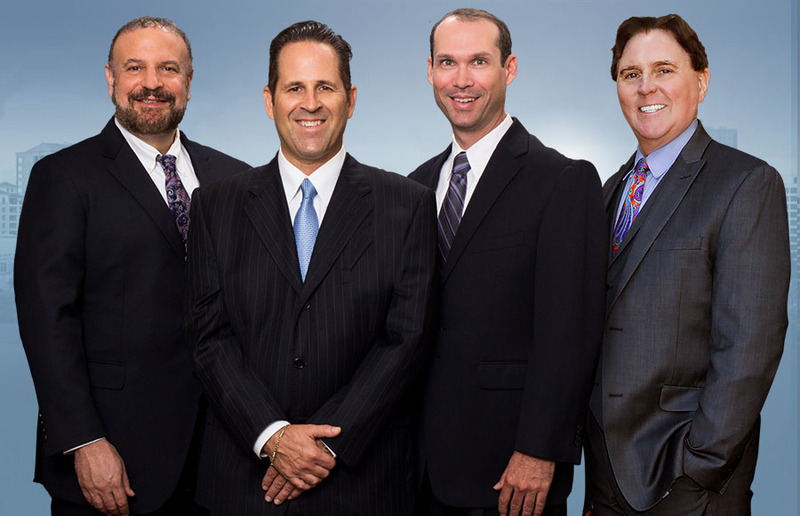 Our lawyers fight to get you what you're owed. The steps that we take to prove fault will depend largely upon the nature of the accident - a work related accident may involve different steps than a traffic accident, for example. But no matter what the specifics of your accident are, you can rest assured that we're your fierce advocate to get you the financial compensation you deserve. We'll fight to make them pay and ensure that you get what you're owed. When you contact our legal team, there is very little that you need to do in order to get what you deserve. Our lawyers handle the entire process of getting you restitution so you can focus your time and energy on grieving and moving on. You'll only need to sign documents on occasion when needed. Essentially, all that you need to do is contact our offices as soon as possible after losing your loved one. We'll take care of the entire process from there, letting you heal and grieve during this difficult time. We don't get paid until we win your case, so you don't even have to come up with legal fees up front. And you can rest easy knowing that we'll fight to get you the most from your case, so you have nothing to worry about until you get paid. But when you have an attorney on your side, the odds of them using these bullying tactics is much lower. Instead, they work to reach a settlement offer to avoid going to court. The reason? They know that a trial could end up costing them even more than your settlement would. The insurance companies and lawyers for the other side will stop pushing you around and start trying to come to a conclusion for your case. In short, while a trial could include punitive damages or other types of monetary compensation, a settlement is a better option and one that will often bring your case to a conclusion quickly. This way, you can heal and move on instead of worrying about the stress of a trial. You may still end up going to trial, and if so, our lawyers will fight to makes rue that your rights are represented. We don’t' back down from a fight, and we never stop until you get what you deserve. But with us on your side, it's much more likely that you get a settlement quickly so you can move on from your loss. The lawyers of Goldman Babboni Fernandez & Walsh have the firm belief that for the injured, getting justice pays. Call Today. Attorney David Goldman has been exceptional in the process of helping me through the case. He has always been easy to reach, whether by phone or email, and has thorough knowledge and explains clearly in depth so you feel safe and confident in your lawyer.